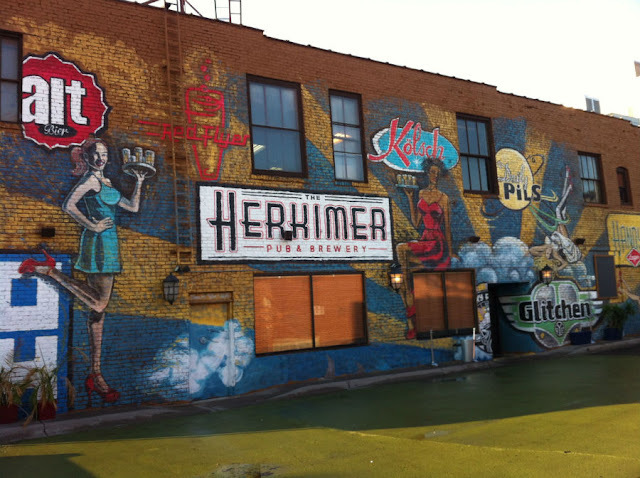 Local Artist Interviews: What do Muralists do in the Winter? 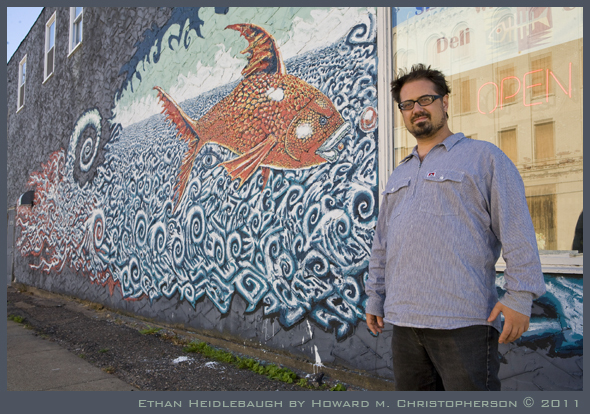 Local Artist Interviews asks Rogue Citizen, Ethan Heidlebaugh, and Erin Sayer, "What do muralists do in the winter?" 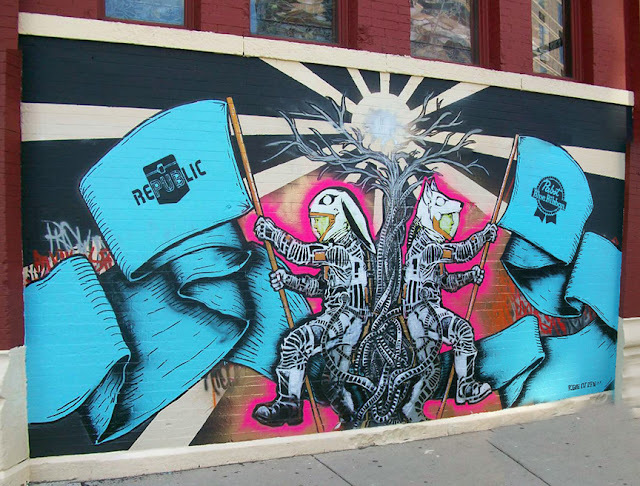 The collective, Rogue Citizen, said, "Muralists in the north can't just be doing murals. For those five months or so we can't get much paint on walls, we work as studio artists, screen printers, graphic designers, illustrators, writers, promoters, etc. And while we hibernate with whiskey, death metal and Star Trek like everybody else (right? ), some of us figure out what's going on walls when it gets warm again." Rogue Citizen at 99% Rally in Washington D.C.
Ethan Heidlebaugh adds, "I could say “Murals” because I actually did one mural during the winter. It was above freezing still out most of those days but still difficult to be out there for very long. The paint would inevitably get on my gloved fingers and make them harder to move. It was real hard to care about the muraled image like I do in those long summer days I sort of rushed on that project. The days were much shorter anyway. Summer days were 6 to 8 hours for a week or two while winter days were 2 or 3 hours for 3 days. When it is too cold to paint outside I paint inside. I also paint inside after painting outside because it also gets dark. I have been creating a series of fifteen drawings with Pen, Ink and Watercolor on 30x22 inch paper to get ready for my show at the Gallery 13, 811 LaSalle Ave, Minneapolis MN. This has been a challenge for me because it is a larger format of drawing than I am used to and fifteen is a lot of them to do. Erin Sayer, muralist, and owner of the Cult Status Gallery in Minneapolis, MN says, "Well, every year I paint sets in November, December, March and April for various theatres, and I also descend into a SAD induced tunnel of doom, and I gain 20lbs. 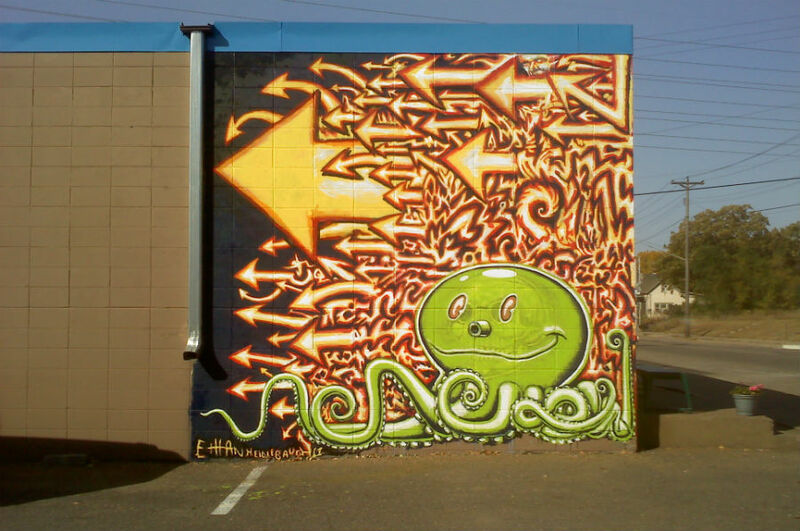 This year, after painting 5 murals all summer, I decided to try my hand in a different climate. San Francisco offers lots of sunny warm days that are very conducive to painting in January. So hopefully someone will allow me to grace their walls with something spectacular. Though I am competing for wall space with the likes of HUSH ...so it's a bit daunting and humbling. Stay up-to-date on Sayer's off-season activities through her blog, 60 Days in San Francisco, and through the Cult Status Gallery website. 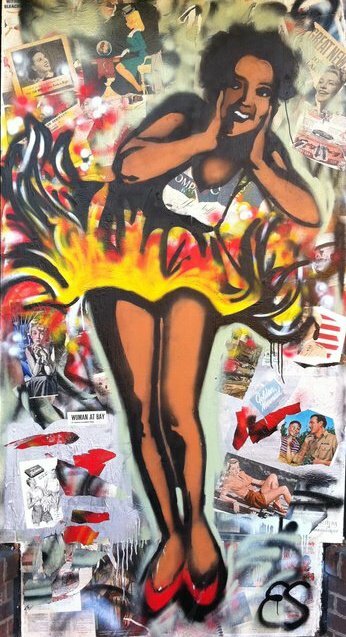 Read her interview with Local Artist Interviews.